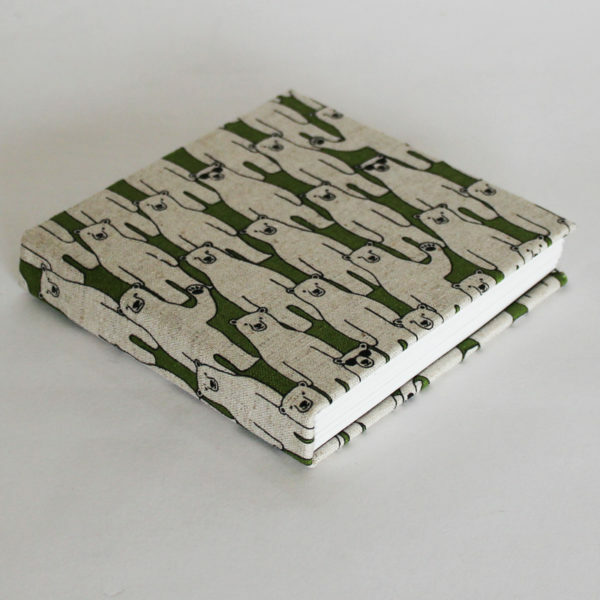 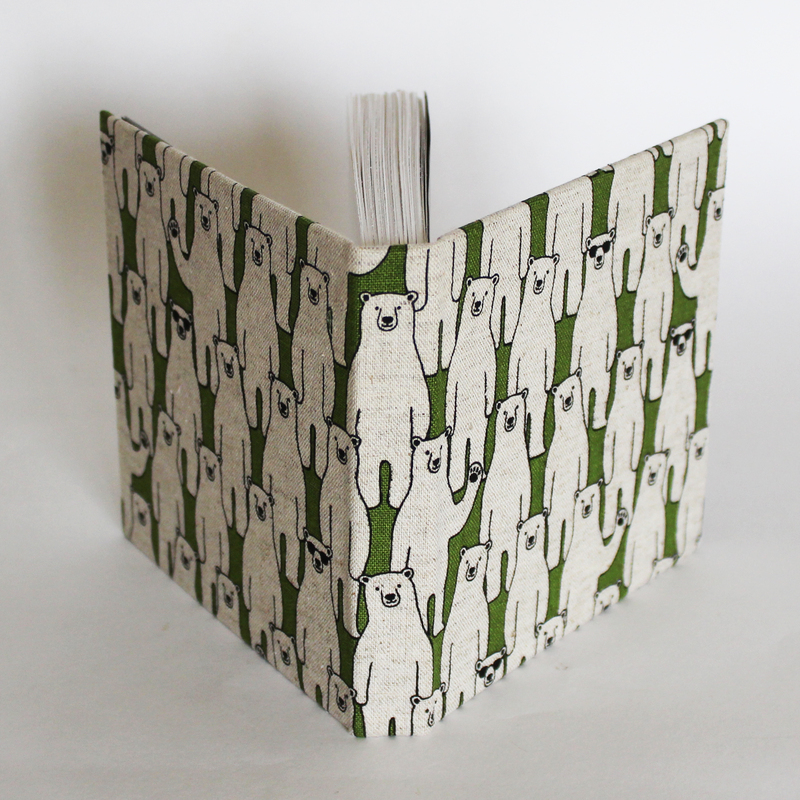 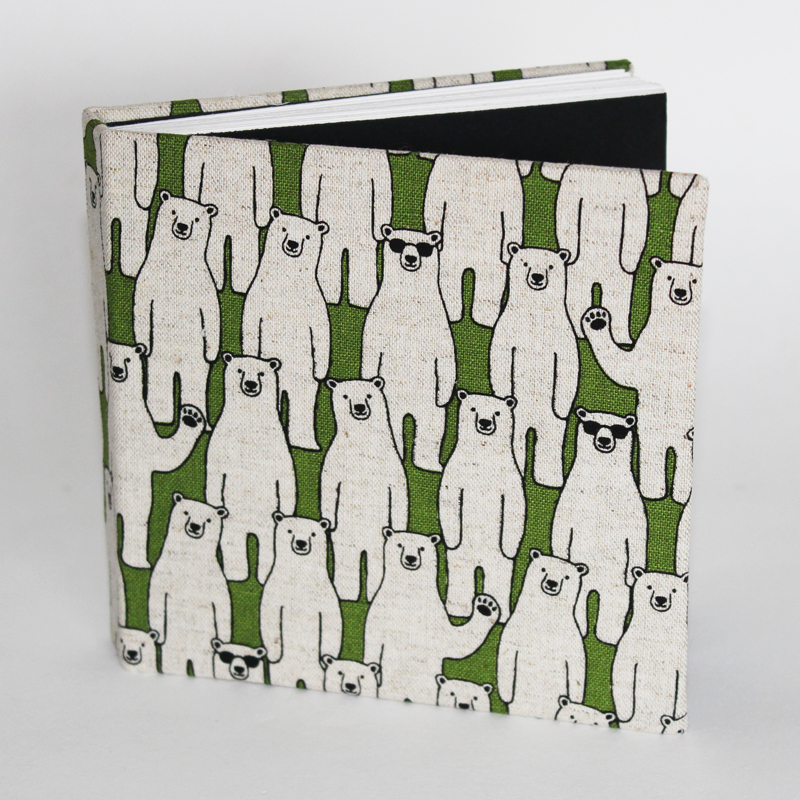 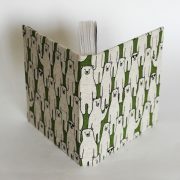 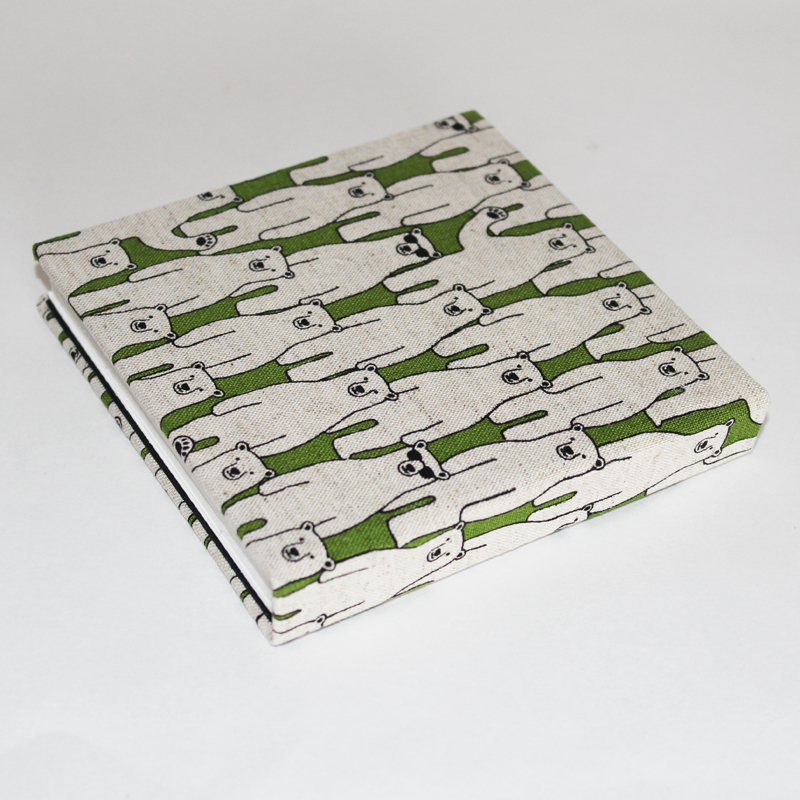 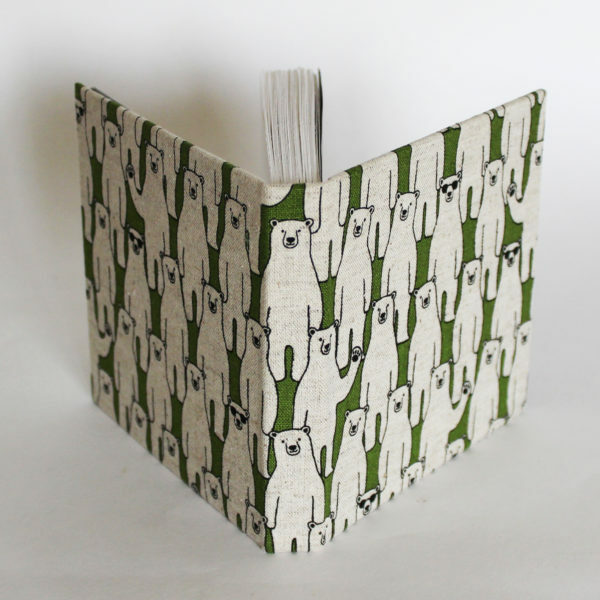 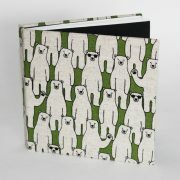 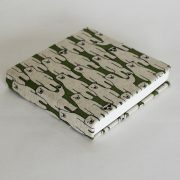 Square pocket sketchbook covered in this great printed fabric featuring bears in sunglasses. 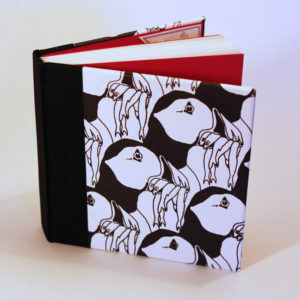 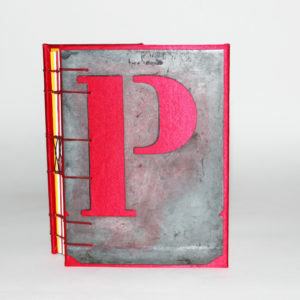 This neat little book is perfect for your pocket or bag. 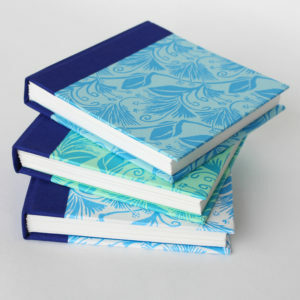 Suitable for notes or small sketches. 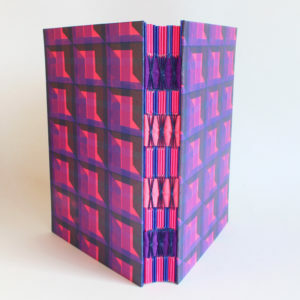 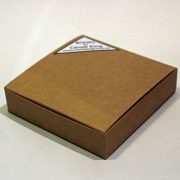 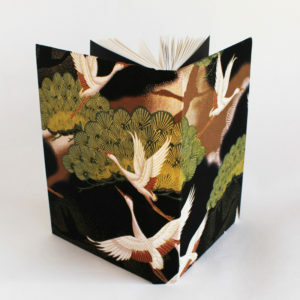 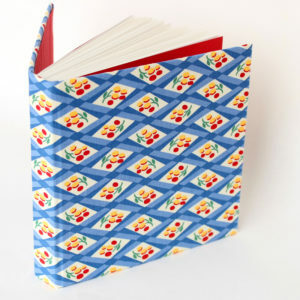 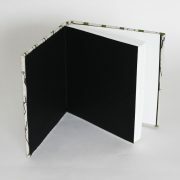 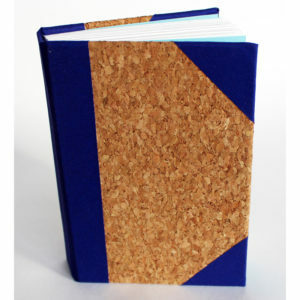 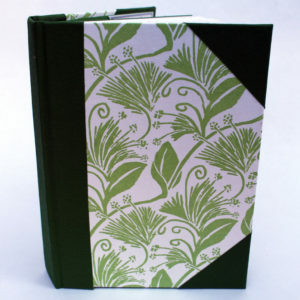 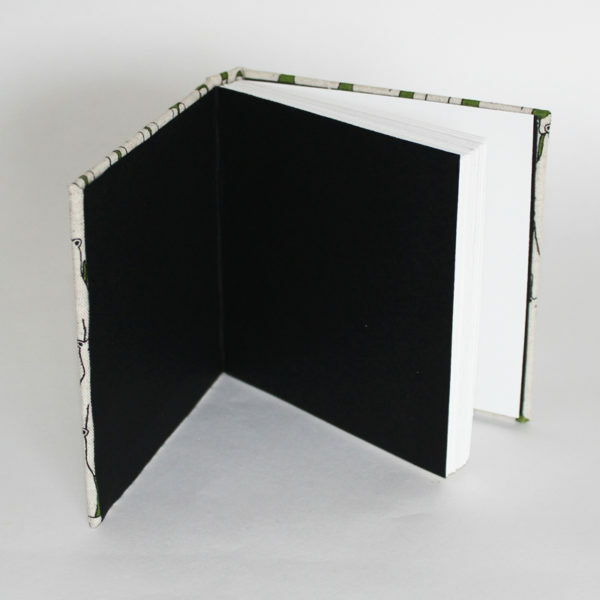 64 white cartridge pages of 140gsm acid free paper, hand stitched and bound between hardcovers. Finished with smart black endpapers.